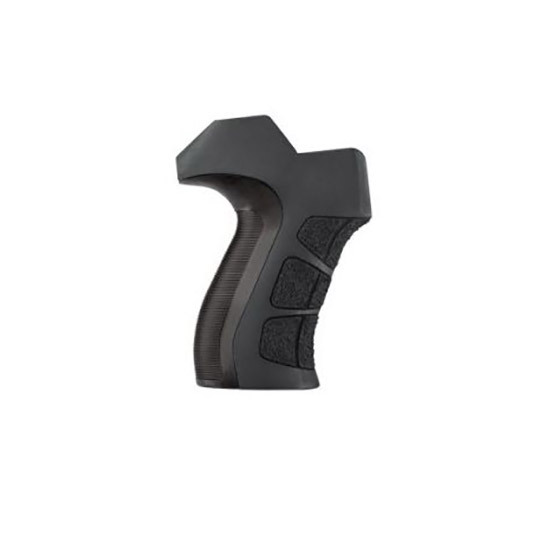 The ATI AR15 X2 Pistol Grip features a soft rubber material that absorbs recoil and increases the shooters comfort. The rear tang makes for consistent hand placement and reduces muzzle lift. A finger elevation contour leads finger to trigger and vertical angle of grip allows for improved hand positioning. The grip enables the shooter to keep elbow tight to the body even with body armor or fully collapsed adjustable stock. Fits most AR15 and AR variants Ruger 22 Charger Pistol with AR15 Style Grip.